When Kieve Pearlman, Paul Mayer and Ken Cohen started what would much later become Gamma Epsilon, they had no idea what would follow. Maybe surprising to some, the earliest formation of the group was a knee-jerk reaction to a perceived injustice. They did not think the world should be unfair or that people would be cruel to each other, nor that they should just sit back and do nothing. Inaction simply was not an option for a puny few, untested freshmen - as one of the three liked to described themselves. The precipitating event for what followed was not the stuff of legends. The three friends went to a rush party for another fraternity, although none intended to join. They felt that fraternities were elitist groups, wasted time, participated in crass rituals including hazing, and could not justify the expense. In other words, fraternity rush was purely for entertainment. And good times were, indeed, had by all until one fraternity member informed them that while they were welcome to the party, they could not join the fraternity -- they were Jewish. They were told that fraternities at Marshall did not take blacks, Jews or five eyed Martians. In retrospect, they are not quite sure about the last part of that claim since the room was noisy and they probably lost concentration after the first two non-qualifiers. However, there were two surprises in this rush policy: first they found out that they must have "looked Jewish" and second that anyone really gave a damn. Moral outrage in the abstract is one thing, but having injustice crammed right into one's gullet gives real taste to this sense of evil. Liquid vitamins unquestionably fortified their courage that night, but they also decided they had to do something. While a few individuals can be important, real strength comes in numbers working together to accomplish common goals. These three guys were not tall, good looking, rich, or brilliant. Hell, they were not even the right religion! But they had a social consciousness which said "this cannot stand". They would not allow a corrupt Greek system to decide the future for others on the basis of religion or the color of skin. Of course, they did not know that once the battle started it would evolve into a multi-front and complex war. While this is not the proper forum for full revelation of the conflicts that ensued, suffice it to say that change always threatens existing power structures and a new group embracing societal change proved to be extremely worrisome to some of the more deeply entrenched and some times highly prejudiced "leaders" on campus and in the community. Kieve, Ken, and Paul recruited a few others, making the original ten, who worked to become a common brotherhood with ideals that could be contagious and worth defending. Once this group was started, it would become totally different from any existing campus groups and would attempt to sustain its founding ideals. The original premise triumphed by affecting the lives of those who followed and reverberating around Marshall University in a manner that, at least partially, changed the institution forever. 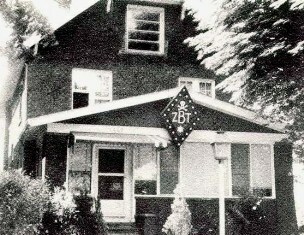 In the spring 1963, ten brothers became Beta Tau Colony of Zeta Beta Tau. Why ZBT? 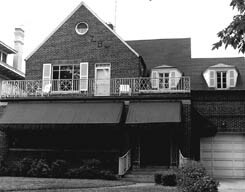 It had a history of tolerance and would invest in a campus where there were few Jewish students, knowing in advance that Gamma Epsilon would become a minimally Jewish chapter in this traditionally Jewish Fraternity. And ZBT was willing to talk to the ten guys with an idea...a process which would legitimize their efforts. At that moment in time, none of the ten founders really thought much at all about actually becoming a nationally recognized fraternity. So nine Jews and Roy Huffman...the first brave gentile who in effect proved that religion just did not matter in the construct... became the core of a grand experiment. The group grew and eventually gained support from the local community as well as a small cadre of campus advisors. It gained respect for doing things differently, positively, actually quite innocently. Indeed, pure fortuitous circumstances led to the foundation of Gamma Epsilon. For many, Gamma Epsilon chapter of ZBT changed lives; for others it was simply a social experience. At each reunion or upon personal reflection, many are moved by the depth of the emotion from those who became part of this fraternity. Each has his own particular take on what happened. Each carries within him memories that either do or do not matter in his own life today. Today, the ZBT - Gamma Epsilon Scholarship Fund is a testimony to the character of those who participated in this grand experiment. An endowment that supports others and lives forever demonstrates the relevance of what was learned.